In India, cricketers find themselves easily catapulted to celebrity status with millions of their fans living through them vicariously. With this fame and fanfare comes lucrative endorsement deals, publicity events and their transformation into a brand. Here enters the shrewd, slick and well-connected agent. This spin-doctor-like entity can handle it all for a cricketer — for a commission, of course — while you focus on your cricket. Having been a permanent fixture in Indian cricket since the 1990s, these agents have gone through a makeover of sorts in the past few years, with a fair share of controversy and criticism to boot. But just what exactly do these agents or player managers do? Has their contribution — or as some would say, 'interference' — to the game been significant for Indian cricket? There is no arguing that Sachin Tendulkar was the first Indian (and perhaps even global) cricket ‘brand’. Mark Mascarenhas was instrumental as his agent in creating Tendulkar’s brand; he is often referred to as ‘the man who made cricket a business’. Since then, it has become a common practice for cricketers all over the world to use the services of a player management firm or an agent. These player managers are often a boon, especially to young players who need help establishing their brand and securing endorsement deals. 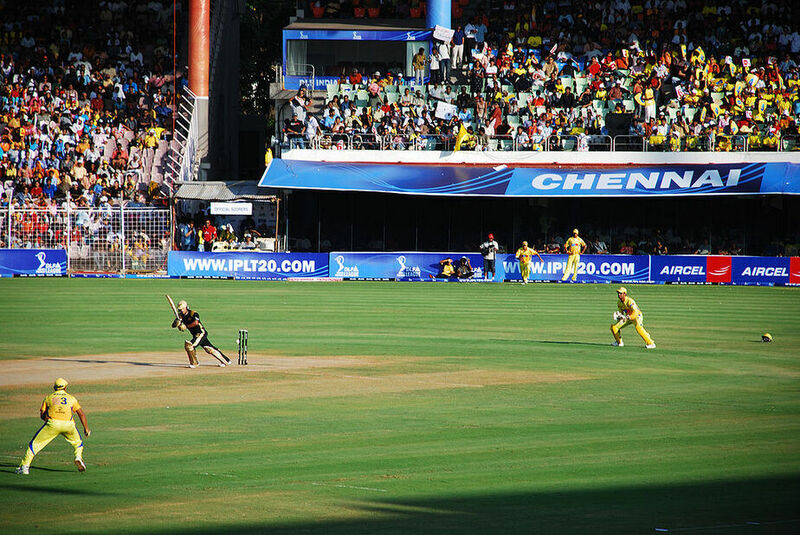 In the wake of the Indian Premier League (IPL) and other similar tournaments, agents have become more important than ever before. Yet, the BCCI, retired players and cricket purists have decried the increasing interference of such elements in the game, attributing the ‘commercialization of cricket’ to their influence. So just how important is the role of these agents in a cricketer’s life and career today? Apart from securing endorsement deals and maintaining a certain brand image, player agencies in countries like Australia and the UK have a major role to play in the players’ cricket-related decisions, especially those that involve financial tradeoffs and negotiations with franchises. Examining the IPL auction shows us just how important a role they play. In the first edition of the IPL, all players had the choice to either enter the auction or negotiate a deal with a particular franchise. On the one hand, a pre-negotiated contract offers security to players, in case no franchise picks them up at the auction. On the other, players would benefit from a bidding war between two or more franchises who want him. Sure enough, previous auctions have shown that the latter does turn out to be beneficial for the player. An econometric analysis conducted after the 2008 auction shows that the 12 players who froze on pre-auction contracts could have commanded a whopping $203,000 more on average, had they chosen to enter themselves in the auction. This figure was estimated based on these players’ skills and experience, as compared to the skills and experience of those who went on the auctioneers’ block. A more specific example is that of star Australian batsman Glenn Maxwell, who was offered a $200,000 retention deal from the Delhi Daredevils before the 2014 season. Acting on his agent Tony Connely’s advice, Maxwell held out and entered himself into the open auction, eventually being picked up by Mumbai Indians for more than 1 million USD. In an exclusive interview with The Bastion, Mr Mohammed Javeed — a representative for a talented crop of cricketers like Karun Nair, Manish Pandey and R. Ashwin, among others — revealed that the situation is not quite the same when it comes to Indian player’s managers and their clients. While BCCI contracts for the national team are completely non-negotiable, the cricketer has complete autonomy over his IPL-related decisions. The player managers’ only job is to market and maintain the players’ image to secure better deals and recognition as a brand, coupled with the occasional meeting with the franchises before the auctions. This practice of not involving the managers in important strategic decisions stems from the image of such professionals in the eyes of the Indian media and the cricketing community. Those agents/managers who have extended their reach to uncapped U-19 players have their fair share of critics. They have been alleged to use their network to fix matches. 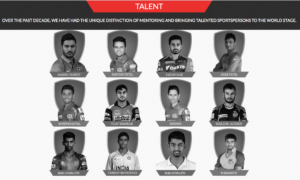 Owing to this, the BCCI in 2013 announced its intention to accredit certain agents and player management firms so as to ensure that players are represented by individuals or firms with sound professional backgrounds. Such parties were also made responsible for protecting players from indulging in betting or fixing. Moreover, a representative from the anti-corruption official would be assigned to each of the IPL franchises to prevent any malpractice. Even so, this attempt at regulation has not found much success. Another reason for agents’ notoriety is the excess exposure that they bring their clients’ way. On occasion, players — especially uncapped U-19 prospects — have shifted focus from cricket to other sponsorship or publicity appointments which affect their team’s performance. This has provoked the combined ire of many BCCI selectors, ex-players and IPL officials. The sentiment towards player managers is changing in India. Corporate bigwigs like Reliance have entered this industry (through a merger with IMG). Competing with other specialist firms like Baseline Ventures and Gaames Unlimited, corporates have begun formalizing and legitimizing the player management industry. Yet, so far, they do not enjoy the same respect and bargaining power that their Australian and English counterparts command, in terms of strategic decision-making. Consequently, the player manager’s role in Indian cricket is limited to endorsement and sponsorship spheres with minimal interference with the player’s cricket-related aspects. Perhaps as this industry grows with time, players may realize the benefits of harnessing the networks of their managers in negotiating their contracts. Having said that, handing players and their representatives complete power to bargain for national team contracts would certainly require a mammoth overhaul of the current system. With Indian cricket finally warming up to their existence, maybe we will see a day when player agents are given the power to contract with the BCCI as well. Only when this is a possibility will player agents in India be on par with other sporting agents around the world. Previous articleCan the Swacch Bharat Summer Internship Pave the Way for Community Service in Indian Education?